Looking for things to do in capital this month? We’ve got four awesome events lined up to start you off. We might as well start with the obvious! 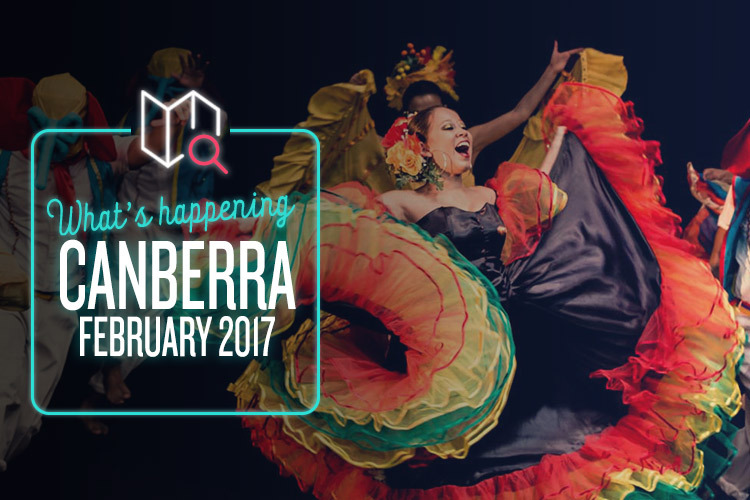 The Royal Canberra Show is back once again, and it’s always worth checking out. Aside from the usual masses of food, markets and adorable animal shows (everything from cats to alpacas), this year’s show will also feature heaps of new and exciting stuff. The Peruvian Cultural Display sounds fascinating, and the Tech Hub covers gaming, robotics and even 3D printing. And while you’re there, don’t forget to marvel at the Canberra’s Strongest Man contest! Australia wouldn’t be the awesome, interesting country it is today without multiculturalism, so it’s always nice to celebrate the diversity that makes us great. The National Multicultural Festival is a citywide explosion of sights, sounds and flavours hailing from all across the world, and it’s an unmissable treat for anyone looking to expand their horizons and have a great time doing so. From Latin music to Greek cuisine to Irish dance, there’s so much to get involved in. Check out the program to see what’s going on, and start planning today. Not to be confused with a eugoogly (sorry Zoolander) Googfest is Canberra’s leading showcase of up-and-coming local talent. This year’s mighty roster featuring performances by Lucy Sugarman, Teen Jesus and the Jean Teasers, Slow Turismo and Young Monks, and it’s basically unmissable. The impressive headline act is Sneaky Sound System, the Aussie dance music maestros behind such hits as ‘UFO’, ‘Pictures’ and ‘I Love It’, so it’s a definite must if you feel like throwing some shapes. It’s also completely free, which is pretty damn excellent. We’ll finish up with a little something for the ladies. Miss Muddy is an obstacle course – but not like any you’ve seen before. It’s a five-kilometre, female-only course brimming with all sorts of goodies, including foam, music, creative obstacles and (of course) masses of mud. It’s run by a national organisation, and is designed to be non-competitive and suitable for anyone over the age of 13, regardless of fitness levels. Aside from being immensely fun, Miss Muddy also works with the McGrath Foundation to raise money for local charities, including Canberra’s Tara Costigan Foundation. Sign up, head down and have a laugh!